Ohio Revised Code 4705.01 prevents the Probate Court Clerks from giving legal advice or helping you prepare legal papers in a new or pending case in this or any Court. When you are filing a motion in an existing case you must complete the forms in their entirety and to the best of your ability. 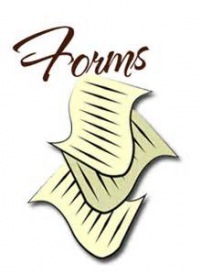 Failure to complete and file documents will result in your filing being returned to you with no action being taken. If this is a new case, a case number will be assigned. If you are filing a motion, it should be signed with blue ink and include your address and telephone number.